Truck accident: should I accept financial assistance from the truck company or insurance? If you have been involved in an 18 wheeler accident, you likely find yourself dealing with what may amount to serious injuries. You also may have significant questions about your legal rights. These questions may include whether you should accept financial assistance from the truck company or its insurance carrier. There are a number of points that you must bear in mind when it comes to the aftermath of an 18 wheeler accident. These include fully understanding how your legal rights are tied in with accepting compensation from either the trucking company or its insurer. 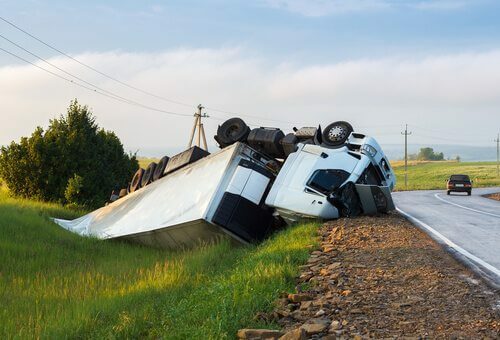 The nature and extent of compensation awarded in a truck accident case depends primarily on the facts and circumstances surrounding the accident itself. Compensation is also contingent upon the injuries, damages, and losses you sustained in the accident. You need to understand that if a trucking company, or an insurer, offers you financial assistance following an accident, this occurs not because these entities are benevolent. If a trucking company, or insurance carrier, extends an offer of a financial settlement to you in the fairly immediately aftermath of an accident, you must be wary. Above all, you must understand that if you accept this money, you will be obliged to execute a release at the same time. By executing the release, you will be unable to obtain any additional money in your case, even if the amount of money paid to you is marginal in comparison to what you actually may have been entitled in your case. An insurance company is in business for one primary reason. It exists to make money for its shareholders. An insurance company increases its bottom line, makes more money for its shareholders, by limiting the amount of money paid out in claims. Therefore, the typical insurance company does whatever it can to avoid paying claims, and to pay the minimum amount possible on them. One strategy insurance companies fairly commonly utilize, among others, is to try to entice an injured person into settling a case quickly, before that individual retains legal representation, and for a fraction of what the claim might actually be worth. This type of conduct by an insurance company, that the need to protect your legal interests, underscores the need to consult with an 18 wheeler accident lawyer, like Tracy Tiernan, sooner rather than later. The first step in the process is to schedule an initial consultation with Tracy Tiernan. During an initial consultation, you will obtain an evaluation of your case and answers to your important questions. There is no legal fee charged for an initial consultation.